The West Linn Community Group is a non-profit organization that supports development of its local communities through social and economic opportunities. We are all volunteers that care about the community we serve. We are always looking for new members to join in our quest to help others. There are no membership dues. If you aren’t the type to go to meetings you can volunteer at any of our events and participate that way as well. All are welcome! the quality of life for the area communities by providing opportunities to the evolving social, economic, and cultural needs. Volunteering and charity strengthens the sense of community. We give through financial collection and individual skill sets that bring people together with their families to support community development. We aim to instill a sense of responsibility and caring that calls us to serve. We exist for our community. We want to unite people from diverse backgrounds and work towards a common goal of a safe and vibrant community. Understanding community needs helps foster empathy. As time progresses, so does our responsiveness and obligation to evolve to those needs. We actively create healthy relationships in our community. We aim to distribute wealth and opportunities that enable all people to live up to their potential, using our resources to serve, advocate and communicate to those in need. The objective of the rewards and recognition plan is to grow membership and boost participation with the current members. By growing membership and participation, we will be able to more easily identify needs within the community and serve them on a larger level. Ultimately, this program will allow us to live out our mission by providing better opportunities for social and cultural development. Event participation - New members will be rewarded for their presence when they receive a voucher of $5.00 or similar for their first group event they attend when they spend $5.00 or more. These can come in the form of a kid’s game ticket, food voucher, drink tickets, etc. 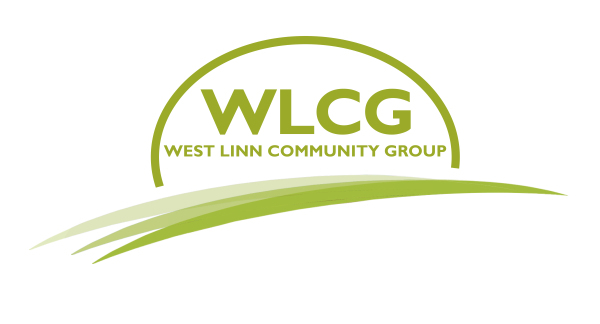 Volunteer - As a new member you will receive two free passes to the WLCG organized event of your choice when you volunteer. By working the event you help make is successful. Limit (2) two free passes a year. Must be an event held by the WLCG. Attendance - New members that attend nine group functions will be rewarded a WLCG t-shirts for their participation. These events would include a combination of events, meetings, or volunteer opportunities. New Member Recruitment - Current member can recruit and retain a new member to the group that reaches current member status, that member will receive a voucher of $5.00 or similar for the group event of their choice. These can come in the form of a kid’s game ticket, food voucher, drink tickets, ect. Event Coordination - Members that help coordinate an event or function by assisting the event director in a major role can receive recognition from the event director for those efforts through the member spotlight program. The spotlight will be designed as a “get to know” document, featured on the WLCG website and social media outlets. Event Director - Event directors will receive recognition for their efforts by having their profiles listed on the WLCG website. In addition, a $10.00 gift card to a west Linn business of their choice. Officers - Those that are willing to serve as an officer and are voted into the position will receive a WLCG Polo so they are identifiable at group functions. This will also serve as a thank you for their commitment. Newbie of the Year - Recognition will be given to a new member that has engulfed themselves in the group, the community, and all the different projects that are going on. Any fellow WLCG member may nominate them and group vote will take place to see who will be recognized. A NOY must be within their first year of membership to be eligible. Member of the Year - Recognition will be given to a member each year that he or she has gone above and beyond those of their peers. This individual would represent the group justly and be an active participant in many of the group’s activities. Any fellow WLCG member may nominate them and group vote will take place to see who will be recognized. A MOY could be any active member, after their first year of membership to be eligible. Event of the Year- Recognition will be given to the event and its director that put on an outstanding event. Strong consideration will be given to events that displayed strong member participation, attendance and revenue generated. A current member may nominate an event at any time of the year. Current officers will vote on this award. Servant Leadership Award - Recognition will be given to a member that personifies the mission of the WLCG by displaying incredible giving, community building, awareness, and social integrity. In addition to group activities, strong consideration will be given to service work that this individual does outside of the group. A current member may nominate an individual at any time of the year. Current officers will vote on this award. Lifetime Achievement Award - The lifetime achievement award will be recognized on an as needed basis. A current member may nominate an individual at any time of the year. This award will be voted on by current officers and will take a unanimous vote to be awarded.